Every taxpayer who has entered into “controlled transactions” with associated persons is required to prepare transfer pricing documentation (more details below), though the compliance requirements may differ depending on factors such as gross income of the business, amount of related party transactions, as well as financial assistance provided. A taxpayer may run a higher risk of being scrutinized for transfer pricing compliance if the company repeatedly reported low margins, has a large number of transactions with its associated companies or subsidiaries, has high value cross-border transactions, reports profits that are lower that the industry’s average, or repeatedly makes losses. 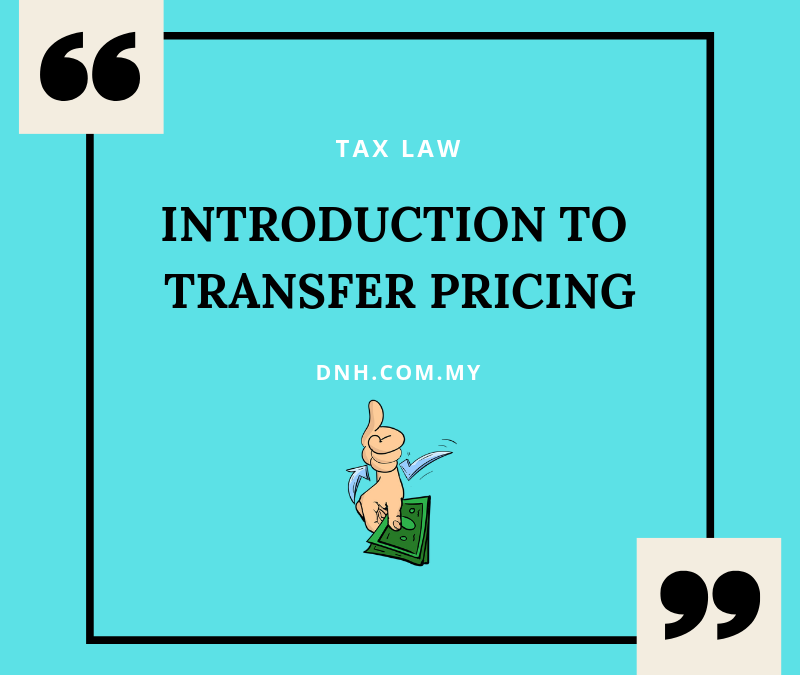 In essence, this involves a transfer pricing study by the professional advisors, for the implementation of the appropriate transfer pricing policy. As a rule of thumb, in setting inter-company pricing, a taxpayer should ensure that the services rendered are compatible with the economic benefits received. It is also important to have the relevant agreements in place to record the terms of the inter-company transactions. For example, an inter-company loan agreement should contain terms like tenure of loan, currency of the loan, interest rate, payment terms, etc. For recurring transactions, be sure to regularly invoice, with clear descriptions on the invoices. This obligation extends to taxpayers who are involved in domestic controlled transactions (ie, even between Malaysian companies) where at least one party enjoys tax incentives or suffers from continual losses, or is taxed at different rate, such that the transaction would result in adjustments that alter the total tax payable. Contemporaneous transfer pricing documentation have to be prepared annually based on the most current reliable data and be updated at the end of the relevant year of assessment. While transfer pricing documentation is not required to be submitted with the filing of the tax returns, it should be made available to the IRB within 30 days upon request. The documents should be prepared contemporaneously meaning, at the time when developing or implementing any arrangement with the associated person, or if there are major changes to such arrangements subsequently, to record the intent of the arrangement at the time of the transaction. In preparing the documentation, the arm’s length transfer price must be determined before pricing is established based upon the most current reliable data that is reasonably available at the time of determination. Other supporting documents should also record organizational structure, nature of business and strategy, industry and market conditions, pricing policies, comparable data and of course, proper legal agreements or resolutions on arms’ length terms. While transfer pricing adjustments made by the IRB from transfer pricing audits can subject taxpayers to high amount of penalties, knowing and fulfilling your obligations under the law will help you to be prepared for the tax audits. This article was written by Shawn Ho and Ee Lyne Chong from our corporate, property and tax practice group. Our corporate team advises on legal compliance, corporate governance, shareholder and founder arrangements, joint venture and partnership structures and corporate tax matters. Have a question? Contact us.